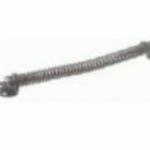 All accessories are sold without screws and fixings except where specified. Medium duty tee hinges. Available in black jappaned or galvanised. Various lengths available. These are sold as a pair, screws sold separately. More robust than the tee hinges these heavy duty hinges will last a lifetime. supplied with a galvanised finish. More robust than the tee hinges these heavy duty hinges will last a lifetime. The bands are cranked to allow for the gate to be recessed into the gate aperture. Supplied with a galvanised finish. Available in galvanised finish or black japanned. Available in galvanised finish or black japanned. Striker and bolt set. Screws sold separately. Brenton Bolt This bolt can also be locked with a padlock. Supplied in black jappaned or galvanised finish. Choice of 4, 6 or 8 inch. Basic bolt for locking gates etc. Available in black japaned finish and galvanised finish, with a choice of lengths. Heavy duty sprung gate wheel, used to support the free end of large/wide gates. Spring gate closer. Use to prevent your gate from being left wide open! Available in a Galvanised finish. A useful handle with a variety of uses. 6″ long. Hanging plate to suit the hook and band hinges. Sold individualy. Various sizes available. 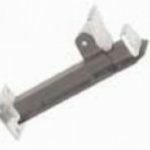 1/2 inch Pin to suit 8-16 inch hinges. 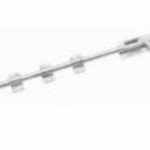 5/8 inch pin to suit 18-20 inch hinges. 5/8 inch pin to suit 24 inch hinges. 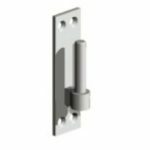 20mm pin to suit 30-36 inch hinges. Supplied with Galvanized finish. Good for use higher up where it is hard to reach. Used to keep open a gate leaf. 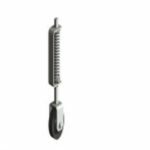 supplied with a bzp (bright zinc plating) to give a longer life. Galvanised drop bolt. 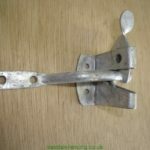 Used to secure the centre of double gates, can also be used to keep open a single leaf gate. If you want your garden gate to operate smoothly without trouble for years then you need quality gate furniture. As specialist suppliers we know quality and can bring you the best selection at the best prices. 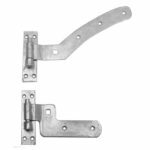 We offer all manner of latches, catches and hinges from plain functional designs through to more ornate options. 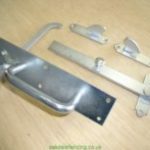 Most of our gate fittings are available in either black japanned finish or galvanised – so we have fittings to suit all budgets. 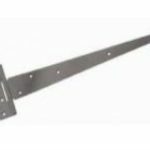 Whether your looking for hinges for a shed door, a picket gate , yard gate or a larger gate we have a comprehensive range of hinges in black or galvanised to suit. 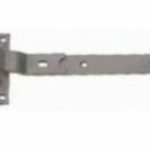 Most garden gates are reasonably light and for these situations we have an extensive range of medium duty “Tee” hinges. 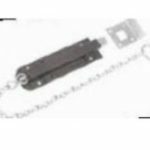 Our range of tee hinges are 12 inches, 18 inches or 24 inches long in both black and galvanised options. 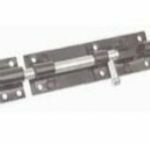 For jobs that require stronger hinges we have traditional hook and band hinges. These are sold in pairs, are galvanised and come in several size options : 18, 24, 30 and 36 inch. 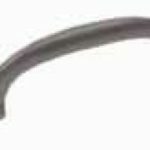 We also offer cranked hook and bands that allow for gates to be set flush with the posts. These comes in the same size and finish options as the standard version. Our gate latches extend to all the traditional style latches. 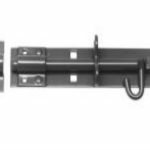 We have Suffolk latches, ring latches and auto latches all in either black or galvanised options. 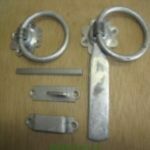 Suffolk and the ring latches are ideal for 6ft yard gates, ring latches are a decorative gate latch suitable for all types of gates and auto/thumb latches are the best suited for smaller picket type gates and small path gates. Hinges and latches are one thing but what about spring returns, drop bolts, locking fixtures, slide bolts and handles? We carry a range of the most commonly used gate fittings that will allow you to bolt, lock and close your gates. If you are after gate fittings with heavier items you can order through our cart if you are local to us or send an email enquiry if you are outside our standard delivery areas. For email enquiries we will endeavour to get a competitive delivery price to suit the weight of your order and distance from us. Either option will result in a delivery in 3-5 days as all items are stocked by us year round.